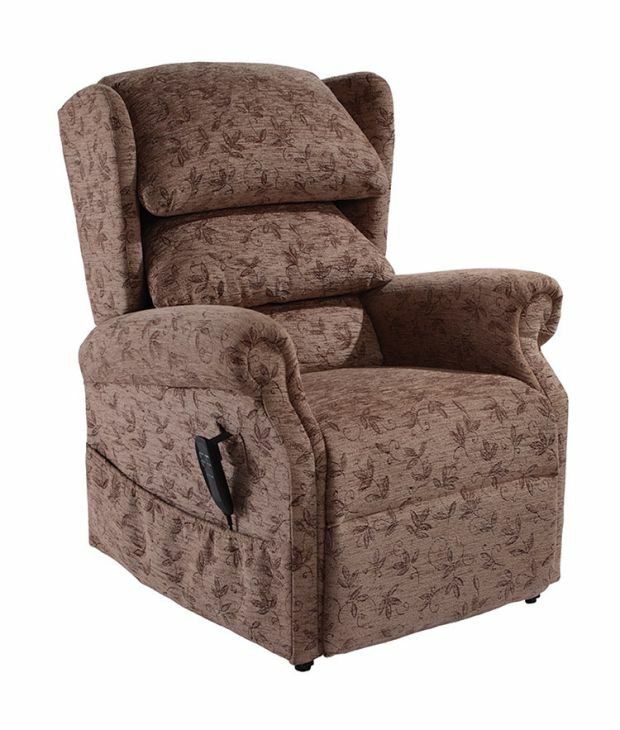 The Medina Riser Recliner Cosi Chair is a superbly comfortable dual motor chair. 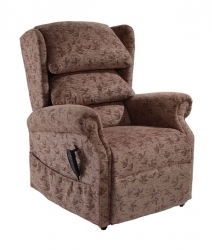 It features a generous soft fibre filled cushioned backrest. 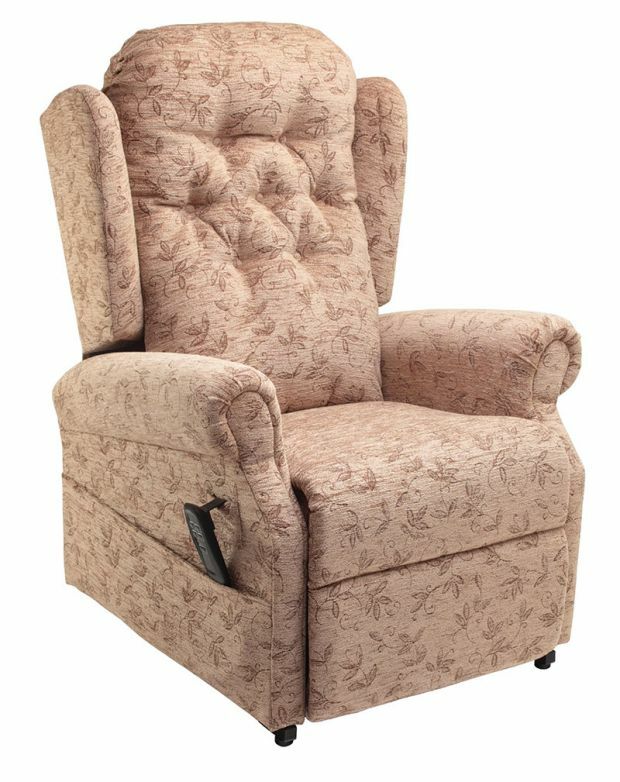 Pocket sprung chaise seating and touch of a button independent control of backrest and footrest functions. 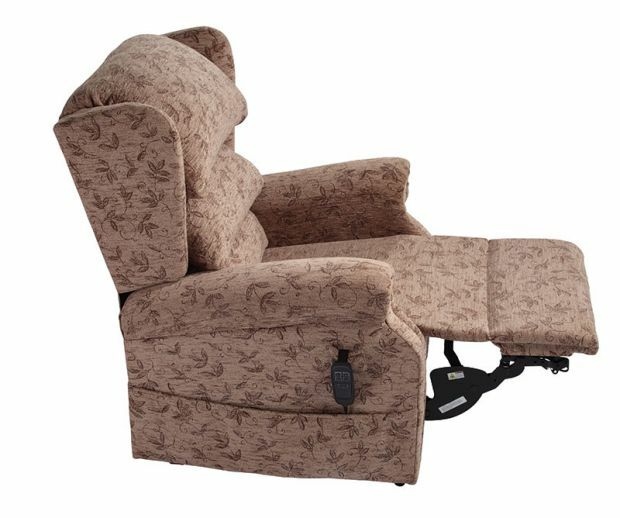 Simple hand control enables any user to find their desired seating or reclined position for maximum comfort. 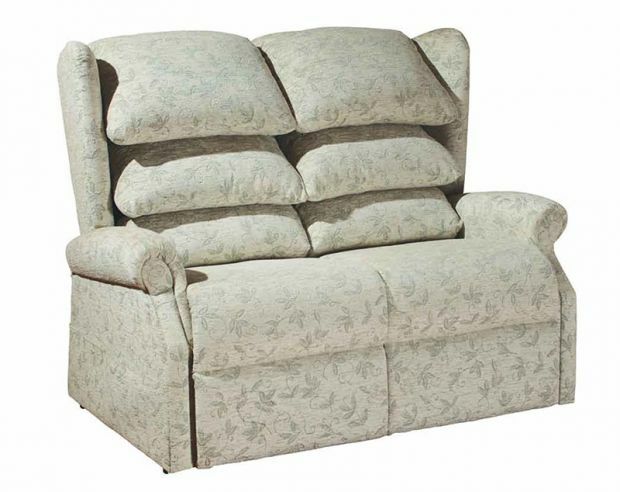 Bring a touch of elegance to any room with a matching 2-seater static sofa, designed and crafted to the same exacting standards and available in a wide range of fabrics and colourways. British Design and Craftsmanship - Made in the UK. 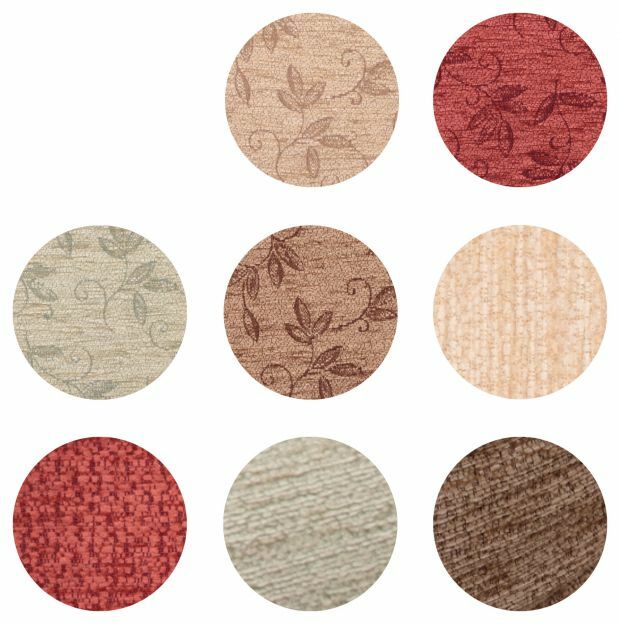 Available in Cocoa, Jute, Rose and Evergreen in a ‘Spray’ leaf motif pattern or ‘Seasons’ non patterned upholstery. Please Note: Seasons Oyster, Seasons Evergreen, Seasons Cocoa, Spray Jute, Spray Rose, Spray Jute and Spray Cocoa are stock items, available for immediate delivery. All other colour options are made to order and are usually available within 4-5 weeks. Quick delivery, superb quality ,extremely comfortable, delighted with this purchase .